Appointments, paperwork and other to-dos you and your student must take care of before classes start. Before your freshman begins packing for college, make sure they complete these important tasks. Schedule doctor and dentist visits Set these up before your teen heads off to college, especially if there are any medical concerns that haven’t been treated, like a sudden bout of headaches or stomachaches, or if the college requires specific vaccinations. Now is a good time for a dental check-up, too, to determine whether wisdom teeth will be a problem in the short-term. Set up a bank account College kids need at least a checking account with ATM access. During college tours and orientation, we looked around for a bank on or near campus that also had a branch in or close to our town. This saves on ATM fees and makes it easier for Mom and Dad to make an “emergency” deposit if it’s not a shared account. Many banks offer “college accounts,” which can include low minimum balances, a limit on ATM withdrawals per month (a good thing) and other advantages for young adults. Online-only banks also offer affordable options. Get a health care proxy If your freshman is older than 18, they’ll be considered an adult by the college and any medical personnel on or off-campus. They can ask a doctor or nurse to contact you, but the health care proxy ensures you can make any decisions about their treatment if they can’t. Read my post on what happens when your child gets sick at college to learn more. Verify whether the campus health center accepts your insurance There’s a good chance your freshman will pay a visit to this on-campus medical facility at least once, probably during midterms or finals week. Visit the college’s website to find out what, if any, health insurance plans the facility accepts. Many don’t take outside plans and require students to purchase a special plan specifically for this center. Obtain a copy of medical, dental and prescription insurance cards Request the cards now from your insurance company so that they’ll be in your freshman’s wallet by the time they leave for school. Review medications Kids who take any prescription medications regularly are probably used to their parents reminding them to take it, renew it and carry it with them. They won’t have that luxury at college. You’ll want to talk about putting reminders in their cell phone for all these tasks. Decide whether to transfer your freshman’s prescription to a pharmacy on or near campus, or to continue renewing it at your local pharmacy and send it in a care package. If you normally renew prescriptions by mail-order pharmacy, consider having your teen’s prescription mailed directly to them. Remember to check prescription expiration dates and get a renewal, if necessary. Also discuss with your teen, maybe with their doctor present, why it’s important to stay on their medication and what to do if they forget to take it one day. Make a list of allergies and medications My daughter suggested students carry a card with this information in their wallets or on their phones since they will be asked about it on any medical forms they fill out, including the one for that first visit to the health center. 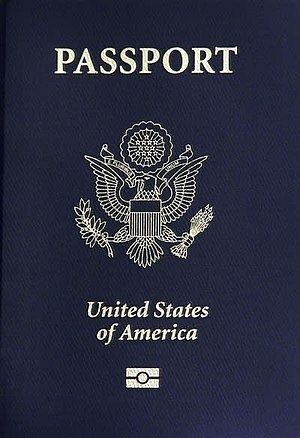 Apply for a passport or renew an expiring one Though your freshman probably doesn’t plan to study abroad this year, they might want to go on a student service trip outside the country over Winter or Spring Break. They’ll need a valid passport to do that. Kids whose passports expire within six months should renew now. Thankfully, the new passport will be valid for 10 years. Register to vote Anyone who’ll be 18 by November can vote in their first national election. To find the registration form, either visit the website for your county board of elections or Google “how to register in [your state’s name here].” Check out the details for acquiring an absentee ballot if your freshman won’t be home on Election Day. Some states allow college students to register and vote in their college town, but that means they can’t vote in their hometown. Register with Selective Service Young men between the ages of 18 and 25 are required to register with the Selective Service. You might have signed your son up already when you filled out FAFSA. Visit the Selective Service site to learn more. Whether you think this is right or wrong, registration is required in order to receive federal student loans and grants, as well as aid from some states and colleges. Don’t panic These to-do items can all be completed by the time your freshman heads to college. Those of you with experience, please share your suggestions in the comments section below.